No one can really control the possibilities of getting sick. We never know when it is going to happen or how long it will take to fully recover from sickness or injury. But sometimes it adds to the stress when you know that not being able to come to work could mean you will receive less pay and financial problem. Less pay means challenge how you could make ends meet specially when you are living on a paycheck to paycheck. Is there something else could you do if you already consumed your sick leave? 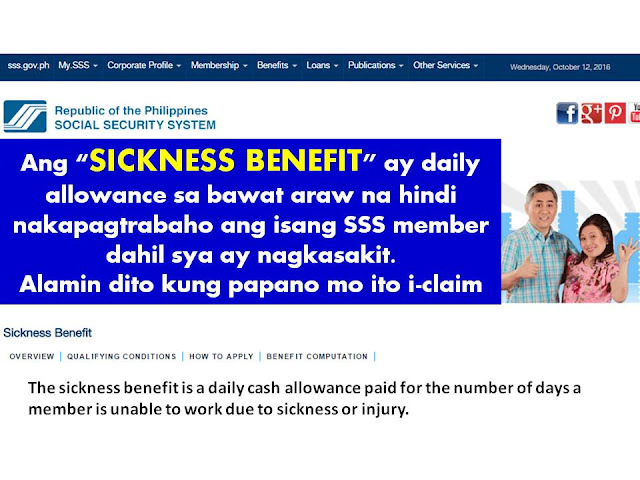 What is SSS Sickness Benefit? Am I Qualified To Claim Sickness Benefit? He/she has notified the employer regarding his sickness or injury by filing the sickness benefit application; if he/she is unemployed, voluntary or self-employed member, the sickness notification should be submitted directly to SSS. 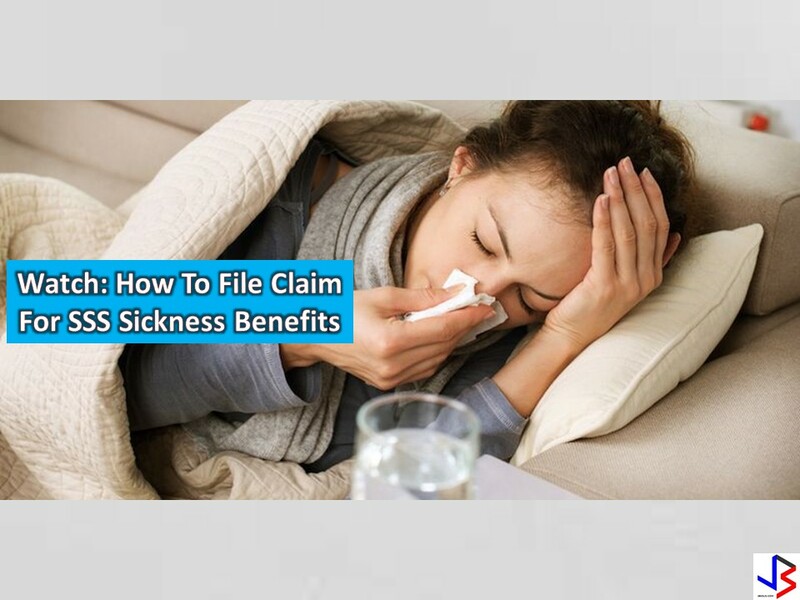 How Do I File Claim For SSS Sickness Benefit? A member should notify the employer within five (5) calendar days after the start of sickness or injury. The employer, in turn, must notify the SSS of the confinement within (5) calendar days after receipt of the notification from the employee member. Notification to the employer shall be made within one year from start of confinement if the member's confinement is in a hospital. If the member got sick or was injured while working or while he was within the company premises, sickness notification shall be made within ten (10) days from the start of confinement. In this case, the employer must notify the SSS within ten (10) calendar days from the start of the employee's sickness or injury while he was working or while he was within the company premises. If the employee notifies the employer, or the SSS, in the case of an unemployed, self-employed or voluntarily paying member, beyond the prescribed five-day period, the confinement shall be deemed to have started not earlier than the fifth day immediately preceding the date of notification. The amount of a member's sickness benefit per day is equivalent to ninety percent (90%) of the member's average daily salary credit. For OFWs, they can file their sickness notifications and benefit claims in person, through a representative or via mail to any SSS office in the Philippines or overseas. SSS also gives more time for OFWs to file for Sickness Benefit Claim. OFWs can file their sickness notifications with the agency’s offices abroad within 35 calendar days after start of home confinement. Certification from last employer showing the effective date of separation from employment or notice of the company's closure/strike or certification from the Department of Labor and Employment (DOLE) that the employee or employer has pending labor case. Certification that no advance payment was granted, if the date of separation form employment is within the confinement period being applied for. Photocopy of the member's SS card or two (2) valid IDs both with signature and at least one (1) with photo and date of birth duly signed by the member and authenticated by the authorized company signatory. Claims may be filed at the nearest SSS office. However, processing will be done at the branch where the employer and employee records are based.